The general elections would remain a watershed in the annals of the nation. The taking-over of leadership mantle by the President-elect, Muhammadu Buhari, of the All Progressives Congress from President Goodluck Jonathan of the Peoples Democratic Party brings to an end, an uninterrupted rule by the PDP since the current civilian dispensation began in 1999. The presidential election was also memorable in that for the first time in the country’s history, an incumbent president was defeated at the polls. What this simply means is that Nigerians have demonstrated that they can legitimately bring down any ruling president or administration through a legitimate electoral process in which accountability to the people is placed on the agenda. What this civic message is saying is that the power of the electorate could be the decisive turning point in bringing about positive change while consolidating our hard earned democracy. Despite all odds, the emergence of a virile political opposition, the APC, has made it possible to challenge and defeat the PDP after 16 years of virtually one-party rule at the federal level such that the party got so arrogant about and boasted that it would rule for the next 60 years! No doubt, Nigeria’s problems are multi-faceted and complex but intractable, ranging from corruption to insecurity, poor economy, unemployment, power failure and impunity. To begin with, Buhari should rescue our abducted Chibok schoolgirls from the den of the terrorist sect, Boko Haram, abducted over a year ago without any clue whatsoever. (That is if they are not rescued by May 29 by the outgoing government.) While other nations often deploy their best military and strategic arsenals to safeguard their citizens, our military seems to be incapable of rescuing the innocent girls. Buhari should ensure that these girls’ rescue becomes a top priority of his administration. The incoming government should ensure that the military and other security agencies are properly equipped with modern hardware and intelligence gathering equipment while the entire armed forces should be overhauled for better performance. For instance, it is widely believed that a major factor why Boko Haram remains undefeated and very difficult to curtail so far is because there are alleged moles within the nation’s security apparatus including the military. These ‘moles’ should be identified and fished out at all cost if the fight against the sect is to be ever won. As a former general in the Nigerian army, the President-elect should be passionate about restructuring the armed forces, police and other security agencies that have sadly been accused of being partisan and ineffective over the years. We should realise that without adequate security in place, the desired changed may still be a mirage because a poorly secure territory remains unattractive to business and development. With a populated economy of approximately 170 million people and reputed as Africa’s largest with $510bn Gross Domestic Product, Nigeria is said to be the third largest recipient of foreign direct investment in Africa with an expected five per cent growth in 2015. Sadly, the nation is structurally deficient with precarious reliance on monolithic oil revenues for its survival while official corruption has been tagged as the greatest setback to the country’s development agenda going by the International Monetary Fund’s expose that over $400bn had allegedly been looted from the country in the last 40 years. This new government should urgently embark on an national economic rejuvenation. The President-elect’s promise to fill his cabinet with technocrats with the right pegs in the right holes is in order to meet the expectations of Nigerians with a caveat that whoever is to serve in his government should publicly declare their assets before taking the job and while leaving office. This is part of moves to curb endemic corruption, which I feel is laudable. Above all, the people Buhari chooses for his cabinet will certainly determine whether he will succeed or not. Therefore, he has to be very careful not to pick the wrong persons, who are very good at lobbying any government in power, to have their share of the national cake. The stance by the President-elect not to appoint defecting politicians into his cabinet when he takes over is also heart-warming and decisive. It is an indication that he is opposed to the ugly gale of defections, which the country is presently witnessing. Defection after losing an election is not an option in entrenching high democratic tenets. Great nations are built by politicians with diverse and sound political ideologies whose thrust is to collectively ensure that the country grows economically, politically, socially and technologically. Rather than jump from one party to another, one would have expected the defectors to come together after the elections as a viable opposition, reflect on the party’s performance and then re-strategise for the next elections rather than struggle to join the ruling party. Buhari should look beyond the All Progressives Congress while picking his cabinet members and get people who are passionate about Nigeria and could assist him in bringing the country to the Promised Land. He should constitute a special think-tank that would fish out hardworking, resourceful, focused, patriotic, principled, reliable and credible men and women who can make a big difference in governance. An effective policy should be devised to reduce the cost of governance at all levels. A country like Nigeria, whose national budgets basically allot over 70 per cent of public expenditure to the Federal Government alone should rather cut the cost of governance by shunning unnecessary expenses on unproductive expenditure such as the service-wide vote, recurring votes on “welfare”, kitchen ware and entertainment at state houses. This fiscal discipline can be achieved through a reduction in the number of the presidential fleet, unviable public agencies, bloated civil service and increasing local and external debt portfolios. Beyond these, there is the need to revisit moribund state-owned railways, refineries, steel and power companies. It is embarrassing that an oil-producing nation like ours continues to experience perennial fuel scarcity as power outage has become a normal feature of our daily living. If the incoming administration is really sincere in transforming the economy, it should embark on a well-orchestrated privatisation of all state-owned commercial interests. All over the world, it is a known fact that governments are not reputed to be good business managers. At best, strategic concerns – that cannot be left to private hands – could be controlled by the government while other social and municipal services can be administered through public-private partnership. 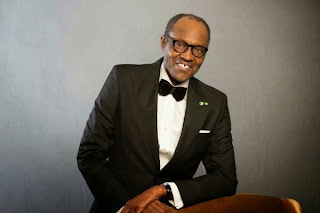 Finally, Buhari should not renege on his promises to Nigerians, as encapsulated in the document, “My Covenant With Nigerians.” These commitments by the President-elect include the implementation of the audit recommendations by the Nigeria Extractive Industries Transparency Initiative, working with the National Assembly towards the immediate enactment of a Whistle Blower Act and making the Financial Intelligence Unit an autonomous and operational agency, encouraging proactive disclosure of information by government institutions under the Freedom of Information Act, ensuring access to justice and respect for fundamental human rights, prison reforms, delivery of a Marshall Plan on insurgency, terrorism, ethnic and religious violence, kidnapping and rural banditry.